PARIS, France-- This week the people of France were given the opportunity to do something they hadn’t done in nearly seventy years: make fun of someone else for a change. 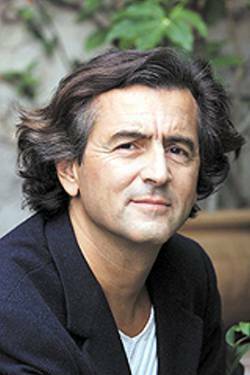 The man responsible for allowing the French people such a chance is famed modern philosopher, Bernard-Henri Lévy. Lévy, commonly referred to as BHL, was embarrassed by journalists when it was revealed that in his new treatise, titled On War in Philosophy, he cited ideas spoken by a source that turned out to be fictional persons created by an author as a satire of the intellectual community. The fictional people highlighted in BHL’s work are Calvin and Hobbes, the titular characters of a syndicated comic strip. Calvin and Hobbes are cartoons. BHL defended his mistake by attempting to gracefully brush it off, saying ”They are very insightful,” and ”I didn’t know they were cartoons”. When asked whether or not he thought Calvin and Hobbes were real, Jean Martine, a six year old interviewed for this story, said ”You’re asking me if I think a child cartoon boy and a stuffed tiger are real?” he then scoffed and continued his game of Calvinball. Editions de la Table Ronde, publisher of On War in Philosophy, has acknowledged the negative spotlight cast on the essay and has already pushed back the release date of Lévy’s next book, tentatively titled Modern Philosophy: Garfield to Griffin. This page was last edited on 5 June 2012, at 08:03.